By enhancing your natural look with Permanent Cosmetic can give a nice brow lift or give you natural looking hair-strokes where your hair has disappeared in your brows. 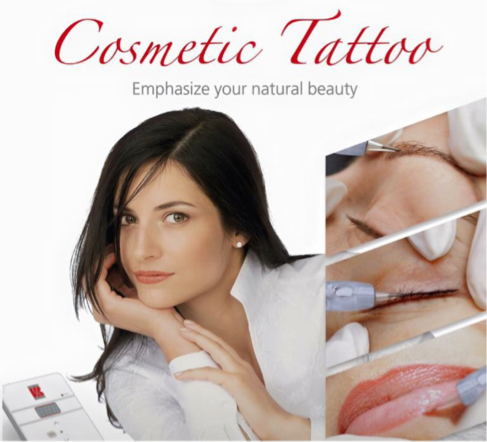 Permanent Makeup is the art form of cosmetic tattooing. It offers the ultimate service for the busy woman. A "natural" look enhancement with subtle pigmentation that uplifts the face by defining washed out eyes, brows and lips. What is Microblading, 3D Brows, Color Infusion? Permanent Makeup is a highly individualized procedure, and special attention is given to each and every client to achieve the absolute best results possible. Carol fully respect the time and energy involved in choosing the right Permanent Makeup Artist for you, and encourage all clients to do the research necessary to be confident in their decision. Veiw Carol's work on Gallery page. ​Carol is a Licensed Tennessee Tattoo Artist and PhiBrows Arist of Banko Babic Phibrows Microblading Academy. View Carol's Credentials page.